A great way to add some sunshine to winter days is to host a tropical brunch. With bright decor, a warm island feel and refreshing frozen concoctions, the cold, snowy weather outside will seem like it's miles away! Keep things lighthearted at your brunch party - the focus should be on relaxation! Winter days have a tendency to seem just a little, well ... gray. That's why your tropical brunch should be bursting with bold color! Choose two colors for your decor palette to keep things simple but impactful. Try golden yellow and bright pink, playful green and purple or sunset-inspired red and orange. Once you've picked your colors, go all out and decorate with streamers, tablecloths, balloons, tableware, candles and string lights in those hues. There are some drinks that are staples at brunch, like mimosas, bloody marys and mojitos. Make these drinks in your Margaritaville® Frozen Concoction Maker®, but with a fun-loving tropical twist! Add a splash of coconut cream to frozen mimosas, add mango chunks to frozen mojitos and give bloody marys a refreshing and tropical twist with shaved ice and pineapple juice. Make sure you also have loads of tropical garnishes on hand, like colorful mini paper umbrellas, pineapple wedges and cherries. You could also serve the frozen concoctions in hollowed-out pineapples or coconuts instead of regular glasses. 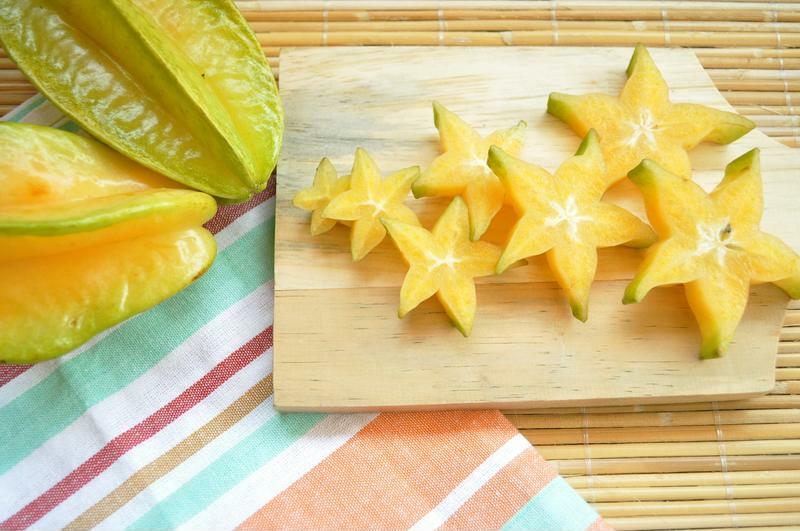 Cut up starfruit and other tropical bites for the yogurt parfait bar. Add to the bright and cheery feel of your winter tropical brunch with foods that remind you of staying at an island resort in paradise. Tropical yogurt parfaits make a great brunch food, and you can even set up a make-your-own-parfait bar for extra fun. Arrange different types of yogurt, like Greek and strawberry, and then set out a dazzling array of toppings, from tropical fruits like starfruit, shredded coconut, mango, bananas and grapefruit to additions like chopped nuts and shaved chocolate. Other great foods to serve include island pancakes. To make their tropical topping, heat pineapple and banana chunks in a saucepan with brown sugar until the sugar begins to melt and caramelize. Pour on top of pancakes, then sprinkle with shredded coconut and serve. To transport your brunch guests to a true tropical oasis, bring the outside in with lots of colorful plants and flowers. Arrange blooms and greenery on the dining table and around seating areas - the more plants, the better! For a clever touch of tropical whimsy, use palm leaves - real or artificial - as placemats at the table. You can also attach larger leaves to the back of chairs and hang them from a garland strung above the table for extra island vibes.